According to their latest census, over 90% of girls in Brazil--like Aline Nakashima--are supermodel. The LAPT Grand Final is down to eight (that’s our best way of avoiding the inevitable usage of Final final). Making the final table is Daniel Negreanu, who eyes his first PokerStars tour title (however, he’s the first player to make EPT, APT, and LAPT final tables). 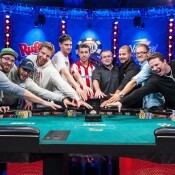 Negreanu sits fifth in chips with 702,000. 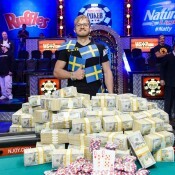 He trails overall chip leader Daniele Nestola with 1,892,000. Carlos Ibarra is second overall with 1,297,000. Final table play begins at noon Brazilian time. Get updates here.